Indoor plants are one of the easiest ways to improve air quality in the home, but there are some plants that are better at this than others. Did you know that poor air quality in the home can cause a condition called “Sick Building Syndrome”? This is caused by an accumulation of toxic gases known as Volatile Organic Compounds (VOCs) which are released from common household goods, including everything from your cleaners to appliances and even the food you eat. In addition to being carcinogenic and neurotoxic, long-term exposure to VOCs can lead to other serious health implications including, respiratory dysfunction, genetic abnormalities, and dermatitis. It begs the question, what are we subjecting ourselves to, doesn’t it? NASA’s Clean Air Study reports how certain houseplants help to filter and remove toxins from the air. Houseplants have long been known to clean the air in small spaces, but some of these plants are more beneficial—and prettier to look at—than others. For those of you who prefer the bright colors of flowering plants, the following list shows the best beauties for filtering the air in your home. Everyone loves the ease in caring for succulents and some of these create delicate flowers too. Here’s a quick fact: when photosynthesis stops at night, most plants absorb oxygen and release carbon dioxide. But, there are a few plants – like orchids, succulents and epiphytic bromeliads that will take in carbon dioxide and release oxygen at night time. Meaning, these would be ideal plants to have in bedrooms to keep the oxygen flowing at night. AKA Flamingo Flowers, these are durable and fairly easy to grow in low light, low water situations. They can thrive for many years under ideal conditions but are hearty enough to maintain growth for up to two years in even the most adverse situations (i.e., this is a perfect flowering plant for those lacking a green thumb!) . They have large, deep green, heart-shaped leaves and produce long lasting, bright red or hot pink flowers. The Flamingo Lilly is great at removing the toxins formaldehyde (found in many paper products), xylene (found in tobacco smoke and vehicle exhaust), and ammonia (found in cleaning products) from the air. *Beware that the Flamingo Lilly (like a lot of flowering plants) is toxic to dogs and cats, so be sure to keep them away from your family pets. The Barberton daisy is available in many colors ranging from white to bright red. The hybrids sold in garden centers typically produce two or more single stemmed stalks with a single flower sprouting from each one. These flowers are up to four inches wide and are quite impressive to look at. The Barberton Daisy can be grown indoors in medium-levels of sunlight, with moist soil. They can flower at any time of the year and each flower blooms for approximately six weeks. Barberton Daisies filter out trichloroethylene (found in ink, paint, rubber products, lacquers and varnishes), formaldehyde, and xylene. The Peace Lilly is easy to care for and gives a telltale droop when it is in need of water. They flourish in shade and low light and you can expect your Peace Lilly to bloom with dozens of striking white flowers in the springtime. Peace Lillies are extremely effective at filtering multiple toxins from the air. They work on trichloroethylene, formaldehyde, xylene, benzene (used in plastics, detergents, dyes, and glue), and carbon monoxide. If you can only have one flowering plant in your home, the Peace Lilly might be a good bet. *Like the Flamingo Lilly, this one is toxic to pets as well, so beware. The Florist Chrysanthemum requires bright light and moist, high-quality soil, so it needs a bit more care and upkeep than the other flowers listed here so far. But with the proper maintenance and right kind of soil, the Florist Chrysanthemum will produce lots of big, beautiful blooms (typically in the red and pink color family, though occasionally you will see bright purples and yellows) that will last for up to 8 weeks. Like the Peace Lilly, the Florist Chrysnthemum filters out multiple toxins including trichloroethylene, formaldehyde, xylene, and benzene (used in plastics, detergents, dyes, and glue). *This plant is also mildly poisonous to dogs and cats (if the stems are ingested they will cause stomach upset and disorientation) so again, use caution. 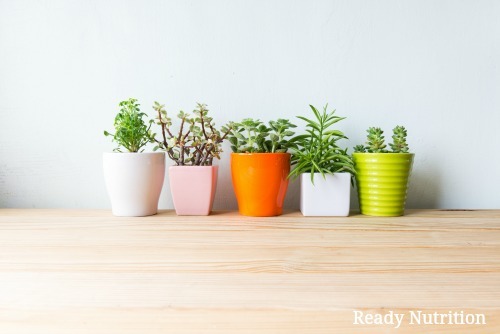 If you feel that your home suffers from poor air quality or quite possibly sick building syndrome, start adding some indoor plants to frequented rooms and see if your health improves.